Nox File Manager provides you with the most comprehensive file management and file browse service! 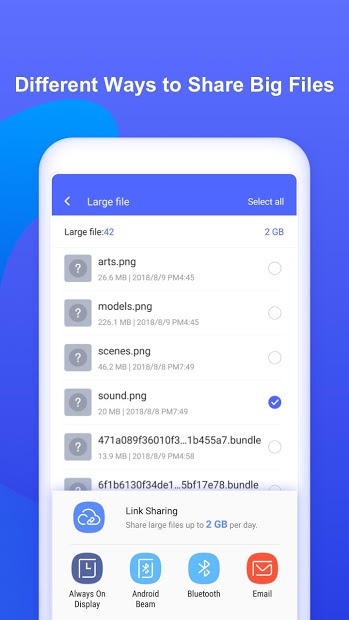 Nox File Manager is easy to use, simple and ad-free android file, app, picture, and video manager. 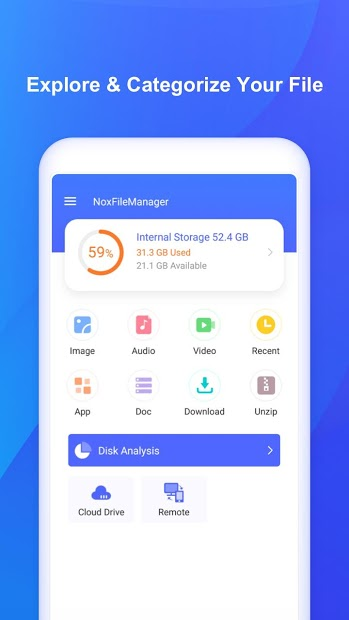 With powerful functions and simple interface, Nox File Manager help Android users to manage mobile phone files and preview media categories such as videos, audios, pictures, and many more! 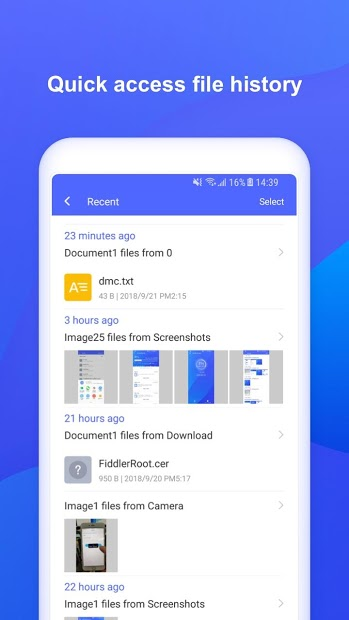 Nox File Manager can access to all files and folders on your Android devices. Users can work with phone files in a similar way with PC like browsing, copying, pasting, deleting, moving and renaming. 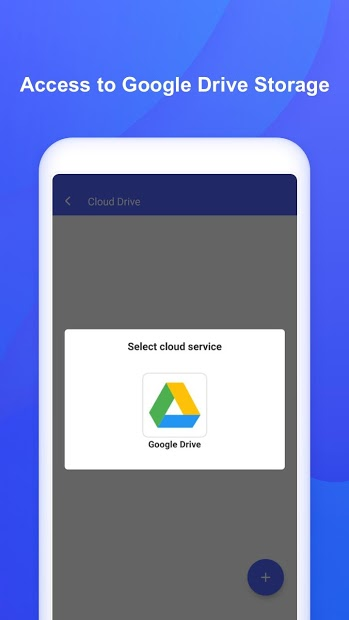 Files in internal phone storage and SD card are supported. User may also browse files by categories, such as Images, Audios, Videos, Apps, Documents and Downloads. Nox File Manager also help you sort your files and folders by categories and properties automatically! No more space for your files in device storage? 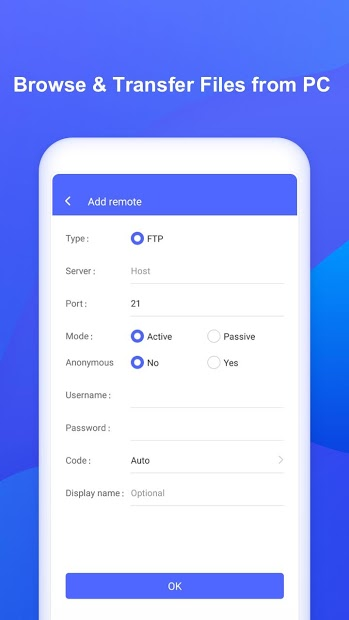 Move it to your computer via FTP (File Transfer Protocol) , it helps you browse and transfer files via pc to your mobile! Login to your FTP server and transfer your files easily from device storage to FTP via Nox File Manager! Nox File Manager keeps your information secure and not share it with anyone else in accordance with privacy protection. Eliminate risk of leaking information and your files will be kept safe. ▶No personal data (such as a username or email address) is processed.